Charles Vincent trained as a clinical psychologist and worked in the British NHS for several years. Since 1985 he has carried out research on the causes of harm to patients, the consequences for patients and staff and methods of improving the safety of healthcare. He established the Clinical Risk Unit at University College in 1995, where he was Professor of Psychology before moving to the Department of Surgery and Cancer at Imperial College in 2002. He is the editor of Clinical Risk Management (BMJ Publications, 2nd edition, 2001), author of Patient Safety (2ned edition 2010) and author of many papers on medical error, risk and patient safety. From 1999 to 2003 he was a Commissioner on the UK Commission for Health Improvement and has advised on patient safety in many inquiries and committees including the recent Berwick Review. In 2007 he was appointed Director of the National Institute of Health Research Centre for Patient Safety & Service Quality at Imperial College Healthcare Trust. He is a Fellow of the Academy of Social Sciences and was recently reappointed as a National Institute of Health Research Senior Investigator. 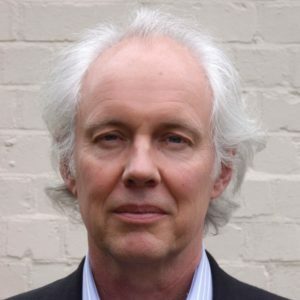 In 2014, he took up a new most as Health Foundation professorial fellow in the Department of Psychology, University of Oxford where he continues his work on safety in healthcare and led the Oxford Region NHS Patient Safety Collaborative. With Rene Amalberti he has recently published ‘Safer healthcare: strategies for the real world’ Springer, Open Access (2016). 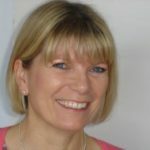 Jill qualified as a registered general nurse in 1984 and gained staff nurse experience in intensive and coronary care units, and as a Sister in anaesthetic departments in Devon and Wiltshire. She qualified as a registered mental health nurse in 1994 and commenced her post graduate studies in 1996, qualifying as a community mental health specialist practitioner and practice teacher in Oxford. She gained team management and leadership experience in community mental health teams, crisis teams and acute inpatient settings. She has service manager experience in community and acute adult mental health services in Wiltshire and Oxfordshire. In 2002, she completed an MSc in Mental Health, focusing her research in assertive outreach settings. This led to a Lecturer Practitioner post at Oxford Brookes University for three years. From 2018, she started her consultant mental health nurse practice in adult acute settings, and in 2013, she moved to a consultant nurse post in patient safety. At the same time, she worked as the Head of Patient Safety at the Oxford Academic Science Network, with a multidisciplinary team to improve patient safety across the Thames Valley region. It was during this time that she completed her professional Doctorate in Nursing, to advance her academic and research skills for practice. 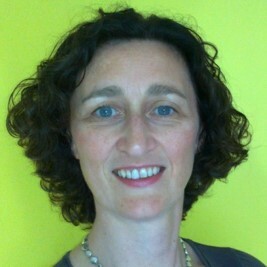 Jill now works as the Associate Clinical Director at Oxford Healthcare Improvement Centre and also holds an Oxford Clinical Academic Fellow post with Oxford Brookes University. 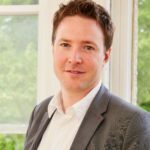 Dr Daniel Maughan is medical lead for Oxford Healthcare Improvement and consultant psychiatrist for the early intervention service for Oxfordshire. He is also the Associate Registrar for sustainability at the Royal College of Psychiatrists. He has an active interest in clinical research, with a particular focus on sustainable quality improvement and early psychosis. He has published several research papers on service developments in mental health, authored national reports about waste in the NHS, led the RCPsych ‘Choosing Wisely’ programme, and developed national level policy and commissioning guidance. 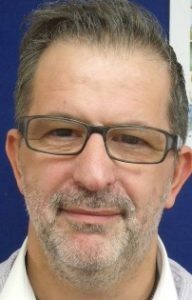 He completed a doctoral fellowship with RCPsych based at Warwick, has undertaken a Fellowship with the NHS Leadership Academy and has postgraduate qualifications in leadership, service improvement and university. Laura has worked in the NHS for 10 years as a Medical Secretary and Information Manager within primary care, Personal Assistant at Oxford University Hospitals and Executive PA to the Medical Director of Oxford Health. Most recently, Laura was Corporate Governance Officer where she supported the Director of Corporate Affairs & Company Secretary to ensure efficient and effective running of the Board of Directors and Council of Governors. As part of this role, she acted as the point of contact and support for the trust’s Governors and Non-Executive Directors. She was responsible for administering Board Sub-Committees and Council of Governor meetings, maintained various corporate trust registers, and implemented and managed a three-year site visit programme for the Board of Directors. Laura joined Oxford Healthcare Improvement as Centre Manager in August 2018 to cover Sophie Garlands maternity leave. Natasha trained in Oxford and London, first as a physician and then an anaesthetist. 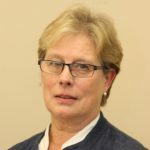 Following five years as a consultant anaesthetist in a London neurosurgical unit, she moved to Northampton in 1993, where she combined clinical practice as an anaesthetist with a role as Associate Medical Director for Clinical Governance until 2016. Natasha led the Trust’s programme of audit, guideline development, clinical outcome monitoring, and medication safety, having previously developed a comprehensive departmental incident reporting programme in her own specialty to promote safety and learning in anaesthesia. Natasha was an advisor and local reporter to the National Confidential Enquiry into Patient Outcome and Death from 1994 – 2017, and has an interest in learning from clinical incidents to improve patient safety. Natasha was a founding member of the Patient Safety Section at the Royal Society of Medicine (RSM) and was Section President 2011-2013. She continues to run an annual programme for trainees focusing on their role in safety and quality. She is currently a Trustee of the RSM and Honorary Secretary to Council. Tony brings a wealth of experience from the private and public sectors to help health care organisations improve outcomes. Tony began his career at a management training scheme at British Airways in 2000, where he gained extensive analytical, project management and relationship management skills. 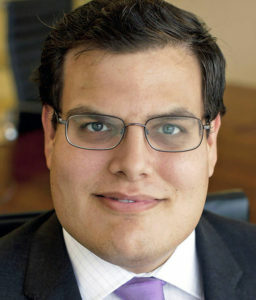 Tony then undertook a range of service development and strategy roles in the NHS (2008-2012), before researching health care best practices around IT as an analyst at the Advisory Board Company (now Optum). Tony returned to the NHS in 2016 to lead the day-to-day work of a programme management office for an initiative that brought together three clinical commissioning groups and a major acute trust to improve the quality and sustainability of health services. Tony applied the experiences gained throughout his career to help clinicians at a teaching hospital in Lahore, Pakistan provide better care. Among other achievements, Tony led a quality improvement initiative in Lahore to reduce hospital-acquired infections in an orthopaedics department and created a set of disease registries that will be used to benchmark outcomes with hospitals throughout the world. Tony completed his undergraduate studies in 1999 at Dartmouth College (USA) with a degree in religion and a minor in government. Tony then completed an MRes in Public Policy and Management at Birkbeck College in 2006 and then an MSc in Public Health, specialising in Health Services Management, at the London School of Hygiene and Tropical Medicine in 2010. Salma earned her undergraduate and graduate degrees’ in law and subsequently worked in the legal sector for over five years. She went on to work for the Care Quality Commission, working across all three directorates: adult social care, primary medical services, and the hospitals division. Most recently, Salma joined Oxford Health in a governance position, and in July she joined the Oxford Healthcare Improvement team. Salma is keen to apply the quality improvement (QI) methodology by leading and supporting QI projects across the Trust, to drive improvement in a measured and systematic fashion. She has a lead role in equality diversity inclusion and service user involvement. Steve brings a wealth of clinical front line experience in many different mental health settings. Steve gained a BSc (Hons) Psychology in 2004 from Coventry University and later qualified as a registered mental health nurse in 2008 from DeMontfort University School of Nursing in Leicester, UK. Steve has worked in many areas of mental including acute adult inpatients, end stage dementia inpatients, specialist personality disorders, and prisons. While working at Central and North West London NHS Foundation Trust, Steve was involved in the setup of two new services to Milton Keynes mental health directorate. The first service was a psychiatric liaison team to support the university hospital. This was a modern 500 bedded general hospital with an emergency department serving the local areas of Milton Keynes, Buckinghamshire, South Northamptonshire, and North West Bedfordshire. The second service was a mental health street triage team in partnership with Thames Valley Police, to serve the population of Milton Keynes. The Street Triage team was shortlisted for the Health Service Journal awards and won Central and North West London team of the year award. Stephen is a member of the NICE adoption and reference panel, which providea rapid and informal feedback and support on tools and resources which are produced and evaluated by the teams. Panel members also provide expert advice on the levers and barriers to implementing NICE guidance. Hayley completed BA (Hons) in mental health nursing locally at Oxford Brookes University, since then she has worked in both female and male acute inpatient nursing. 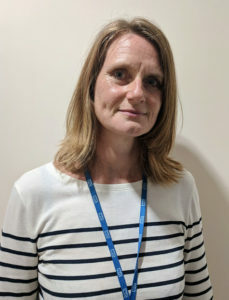 Hayley then went onto to join the ECT department as a clinical practitioner to work as part of the ECT nursing team and to help lead the development of the ketamine service, a novel and innovative treatment for treatment resistant depression. During her role within the ECT/ketamine clinic Hayley won a fellowship with the Oxford AHSN where she obtained her MSc (Oxon) in Evidence Based Healthcare at the University of Oxford. As part of her fellowship Hayley conducted a primary research study using routinely collected measures and multivariate linear regression to help to inform and improve the ketamine clinic service. Natasha completed a BSc in Psychology (2012) and an MSc in Psychological Research Methods (2013) at the University of Plymouth, before undertaking a PhD in Psychology (affective neuroscience) with Dr Natalia Lawrence and Dr Nicholas Moberly at the University of Exeter. Her research explored the potential relationships between real-world measures of motivation and affect, neural responses to rewarding stimuli, and the experience of hypomanic and depressive symptoms. Following the completion of her PhD in early 2017, Natasha accepted a post with Public Health England, working on several projects with the aim of protecting and improving public health. These projects included the H2020 funded MIDAS and Reaching Out, the NIHR funded FluTEST, and the Department of Health funded PHOENIX. Research topics ranged from public perceptions of data sharing in a healthcare related setting to the effective decontamination of the public following a chemical incident. In 2018, Natasha moved to the University of Oxford and to work as a post-doctoral Research Associate, supporting the work of the Oxford Health Improvement team. Gurpreet gained a BSc (Hons) Psychology in 2011 from Royal Holloway, University of London and went on to work as an Assistant Psychologist for several months, within the Drug and Alcohol Services, at the Central and North West London NHS Trust. 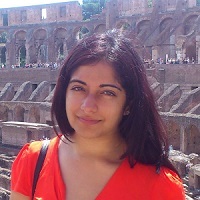 In 2012, Gurpreet undertook a Research Assistant post for 2 years at the University of Oxford working on a longitudinal research project with young children. During this time, she also collaborated on a literature review sponsored by the Department for International Development. She then moved back to Royal Holloway, University of London to start her PhD in 2014 with Professor Dawn Langdon. The aim of her research was to develop an evidence-based protocol to communicate medication information to patients with Multiple Sclerosis (MS). She worked closely with King’s College NHS Foundation Trust to complete this project. She has since published this work in journals such as Patient Education and Counseling, Journal of Neurological Sciences and Value in Health. 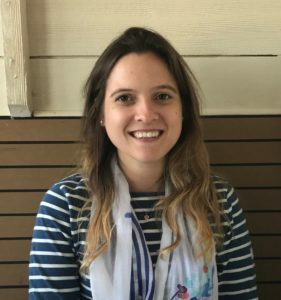 In 2017, she worked with the MS Trust Charity as a Postdoctoral Researcher to help design an online information tool for adolescents with MS. She also won a research grant alongside Professor Dawn Langdon to conduct some analyses on the UK MS register, a large dataset collecting information from thousands of people diagnosed with MS in the UK. 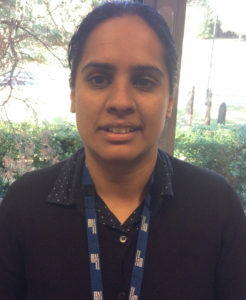 In 2018, Gurpreet joined University of Oxford as a Postdoctoral Research Associate and will support the work of the Oxford Health Improvement team as part of her role. Rachel is a health services researcher specialising in patient experience, survey methods, questionnaire design, improving the quality of patient care, and the national patient survey programme for England. She qualified as a registered general nurse in 1986 and has more than ten years nursing experience in the National Health Service, and in 2000, she was awarded a Doctorate in Psychology from the University of Oxford. From 2001 to 2005, Rachel was the manager for the Co-ordination Centre for NHS Surveys at the Picker Institute Europe, where she designed and implemented a new national patient survey programme for England. She subsequently worked as a freelance research consultant in health services research for various organisations, including the Department of Health (Cancer Patient Experience Survey and Independent Sector Patient Experience Survey), the Care Quality Commission, and the Scottish Government. Between 2007 and 2017, alongside her freelance work, she was also employed as a Principal Research Fellow at the University of Greenwich. Her work focused on maximising the impact of patient survey results to improve the quality of patient care and testing interventions aimed at improving the impact of patient surveys. Rachel is experienced in both quantitative and qualitative research methods, and she began working at Oxford Healthcare Improvement in June 2018. Sophie is currently on maternity leave, Laura Smith is the current Centre Manager. Sophie has worked for many years in Oxford Health NHS Foundation Trust as part of the operational management team with the Urgent and Ambulatory Care Service. She worked in various roles firstly as a coordinator, project officer and most recently as the Unit Manager before she joined Oxford Healthcare Improvement. Sophie gained experience in leadership and management in the community and working at the frontline of clinical care. She is passionate about innovation, improvement and safety, and her previous work has been geared around introducing interventions to improve patient care, staff wellbeing and education within the service. Sophie has supported a wide range of clinical and non-clinical staff and patient groups across the county of Oxfordshire. Most recently, she was involved in a research project with colleagues from the Department of Primary Health Care Sciences at the University of Oxford, and the team presented preliminary findings at the annual Royal College of General Practitioners conference in 2017. The poster presentation won runner up in the Innovation Award. Sophie has completed a Post Graduate Diploma in Management in Health and Social Care at Oxford Brookes University and is planning to complete her dissertation and finish her MSc. Helen completed her Registered General Nurse training in Whitechapel, London in 1991 and her clinical experience has been predominantly within acute medical and urgent and ambulatory care settings. She completed a BSc in Health Care Management in London and an MSc in Clinical Health Care Practice from Oxford Brookes University. 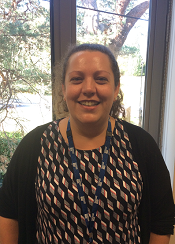 Helen joins the team with 18 months experience in quality improvement within the commissioning environment and 9 months experience within the quality team at Oxford Health. Prior to this she worked as the Clinical Lead within the Urgent and Ambulatory Care Service (OHFT) leading upon quality and governance issues as well as service redesign and development. Her work within the Urgent Care service included collaboration with Primary Health Care Science team in research projects and she has a keen interest in clinical governance and quality.